Boron Neutron Capture Therapy (BNCT) is a method of cancer therapy based on neutron radiation which has advantages over the other cancer therapy methods. It uses a stable isotope of 10B which will be an excited isotope of 11B when irradiated by thermal neutron. It immediately (in 10-12 s) breaks into α particle and a lithium recoil nucleus. The two secondary particles play important roles in killing cancer cells. They have a short range in tissue (5 µm and 9 µm respectively) which is less than the average dimension of a cell. This leads to the damage of cancer cell only but the normal cells remain safe. Thermal and epithermal neutrons play important roles in BNCT. From the beginning the neutron sources for BNCT are nuclear reactors which produce high intensity of thermal neutrons (En <0.5 eV), epithermal neutrons (0.5 eV< En < 10 keV) and fast neutrons (En > 10 keV). However, nuclear reactors are very expensive and too large to be used in hospitals. In addition, the operation of nuclear reactors is under restricted protocols related to safety and physical protection. A compact neutron generator is a good choice of neutron source for BNCT. The advantages of compact neutron generator are that the size is small and that the neutron yield is more than 109 ns-1 which satisfies the requirement recommended by IAEA. Additionally, the neutron energy is not so high that it requires a complicated neutron collimator, the operation is easy, and the public acceptance is higher than with nuclear reactors. Based on the requirements of epithermal neutron beam for BNCT facility, the detailed engineering design of compact neutron generator has been made. The Basics of Boron Neutron Capture Therapy, http://web.mit.edu/nrl/www/ bnct/ info/descript-ion/description.html. Joshua P. Sroka, et al, Design of A Moderator Assembly Delimiter For An ABNS For BNCT, American Nuclear Society Topical Meeting in Monte Carlo, Chattanooga, Tennessee, April 17 – 21, 2005. Neutron Capture Therapy of Cancer, Wikipedia the free encyclopedia. 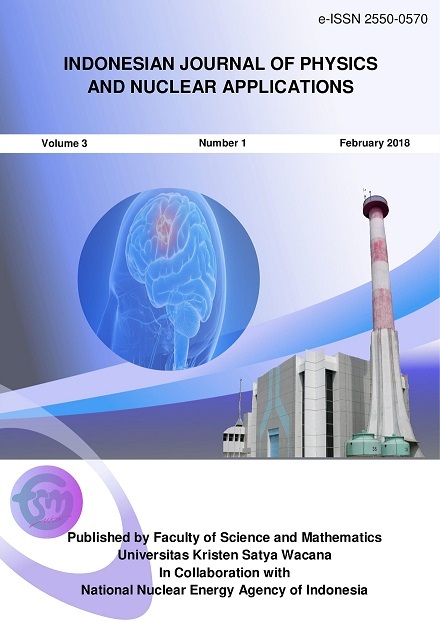 Barth, R.F., et al, Current Status of Boron Neutron Capture Therapy of High Grade Gliomas and Recurrent Head and Neck Cancer. Radiation Oncology 7:146, 1-21, 2012. Durisi, E., et al, Design of an epithermal column for BNCT based on D-D fusion neutron facility. Nuclear Instruments and Methods in Physics Research A 574: 363 - 369, 2007. David L. Chichester and James D. Simpson, Compact Accelerator Neutron Generators, American Institute of Physics, December 2003/January 2004: 22-25. Yevgeni P. Bogolubov, et. al, VNIIA Neutron Generators for Thermonuclear Research. A. Sy, et. al, Novel Methods for Improvement of a Penning Ion Source for Neutron Generator Applications, Rev. Sci. Instrum. 83, 02B309, 2012. Fantidis, et. al, Optimised BNCT Facility Based on A Compact D-D Neutron Generator, Int. J. Radiat. Res., Vol.11 No.4, October, 2013.